Brockley, sponsored by the excellent A14 Tyres, travelled to fellow village side Walsham to renew a rivalry that goes back longer than (yep, you guessed it) Coe’s. In an attempt to recreate the excitement of days gone by and also because Ken Boreham was unavailable and Denis Fisher injured, the visiting side we led, of a fashion,by Dean Sykes who appeared courtesy on Kenyan Airlines who, as we all know, are The Pride Of Africa. Sykes quickly showed that he had lost none of his skills over the intervening 20 years by losing the toss and failing miserably to work out how to operate the electronic scoreboard : where was the horn? Why couldn’t we just put numbers on a board? 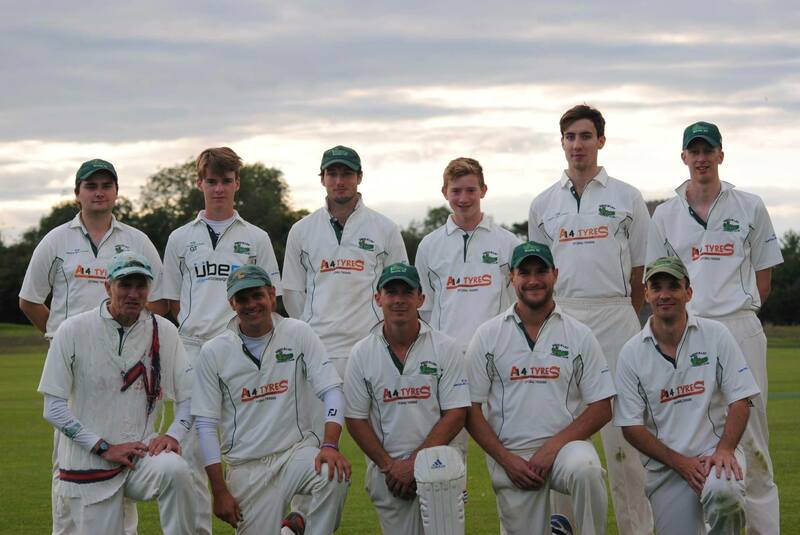 Sadly Brockley also returned to their form of yesteryear by losing 3 wickets before the total was thirty. This created consternation in their ranks as Sykes didn’t know what the batting order was and Blackledge (junior) didn’t know how to register a wicket on the board without erasing the total score. Luckily history was in the making and a Boreham and a Webb came to the rescue with Noah showing a level of resistance in partnership with Paul “king of the singles” Webb. However Walsham continued to keep a strong grip on the match under the watchful eyes of John Wright and I do believe Bryant (senior). At 100 for 6 off 33 overs and with the flamboyant Firth (36) flayed, it looked all over for Brockley but Webb (47) found an excellent foil in the shape of the rapier-like Anton Blackledge (27 not out) who was as clearly wasted down the order at number 10 as he was operating the scoreboard. He paced his innings to perfection taking Brockley past an unlikely 150 and onto an unbelievable 172-9 at the close. In reply, Sykes rolled back the years by opening the bowling but that was where the comparison ended and Walsham set about their reply confidently. When Firth dismissed Bryant with an excellent delivery it gave the visitors some hope but the Walsham batting remained positive as they kept the target below 5 an over. This did not deter Firth (5 for 37) who continued to test the home side’s resolve and wickets started to tumble. With able support from Whiley (4 for 68) at the other end, Walsham were left needing 25 from the last five overs with only two wickets in hand. The tension rose another notch as the 9th wicket fell leaving 5 needed from the final over. The mature Baker ( the less crazy one who won’t deliver your post) played out four dot balls and for the first time in the game Brockley were on top. A two was scrambled from the penultimate ball leaving three for victory. Baker steered the ball to Webb on the boundary who safely fielded it to leave the match tied at 172-9. It was a game played in super spirit throughout, a credit to both sides and a showcase for all that is good about village cricket. A draw was probably the fairest of results. It was also great to see Alan Beazer back umpiring and both sides and the umpires having a drink afterwards - all of which were bought from the Walsham bar : now how village is that?